$299.99 US seems like a totally reasonable price. NO REGION LOCKING! This is a gamechanger that will be underappreciated. I’m not a fan of the neon control scheme... Hopefully more Joy-Con options are available soon after launch. I’ve always been a fan of white consoles. Nintendo is putting forward a lot of new faces to introduce games. Miyamoto is nowhere to be found. Does ARMS mean that Punch-Out!! and Little Mac are retired from the boxing scene for good? Is there enough room for two boxing games in Nintendo’s roster? I loved Splatoon on Wii U and I’m glad to see it’s getting a sequel. Everything seems to be an improvement. Hopefully they keep content from the original, like weapons and clothing. NEW SANDBOX MARIO. I AM HYPE! Seeing a new Xenoblade only makes me remember how I need to play the first one. Fire Emblem Warriors! I knew that Nintendo couldn’t stay away from working with W-Force, Team Ninja, and Koei Tecmo again. Hyrule Warriors was a hit by every measure of the word, but there was no way to push it further as far as content was concerned. Taking on a new franchise seems like the most logical step. 80 3rd party games in development. That’s quite a promise. Also I’ve never played a SMT game so I’m not as excited as true series fans will be. I’m getting a lot of weird vibes from this Square Enix game, Octopath Traveler. I can’t really place what other games it reminds me of. I’m glad they are producing this new RPG though. Last time they created a new original game we got Bravely Default. 3rd Party: Skyrim. We knew this was coming. Looks like Travis Touchdown is coming home to Nintendo consoles! I loved the original two, so this is exciting news! Also I’m secretly excited to see Bomberman headline something again. 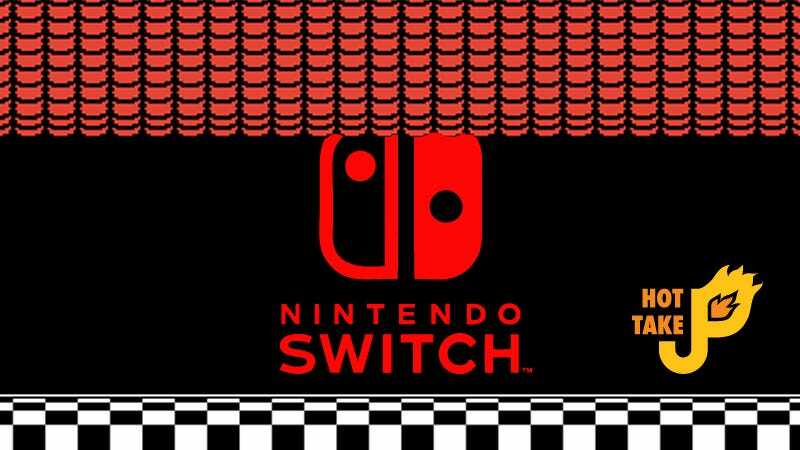 What did you guys think of the Nintendo event? Discuss below!